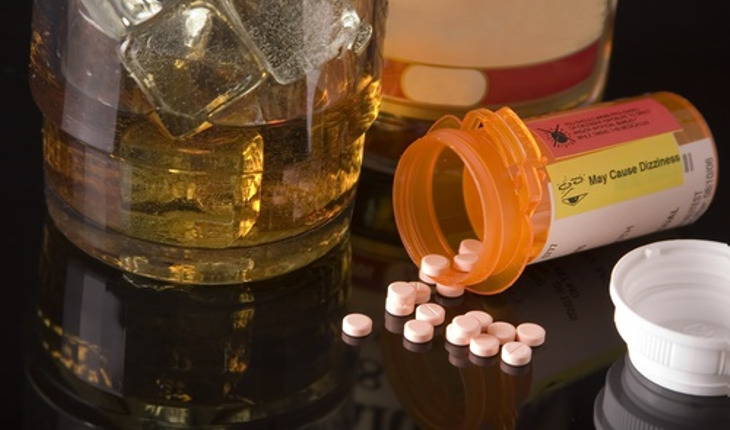 The Drug/Alcohol Combination: Are You Putting Yourself in Danger? Although it’s well known that certain drugs can interact with each other (that’s why it’s important that health-care providers know all the medications a patient is taking), the interaction of medicine with alcohol presents an equal, if not greater, problem. According to the National Institutes of Health (NIH), many common prescription medicines can interact badly with alcohol. These medications include antidepressants as well as drugs used to treat diabetes and hypertension. Interactions can lead to nausea, vomiting, fainting and loss of coordination, the NIH says. The experts say that even more severe effects include internal bleeding and heart problems. Additionally, the NIH says, alcohol may make some medications less effective or even altogether useless. Older adults, the experts say, are at greater risk for medicine/alcohol interactions: They are likelier than younger people to be taking medications. And some medications, the NIH says, that are affected by alcohol use, such as Valium, remain longer in older people. In other words, alcohol and medicines can interact even if they are not taken at the same time. And prescription medications aren’t the only substances that are dangerous. Even over-the-counter products can have a potential for a serious interaction with alcohol. In a study conducted by the National Institute on Alcohol Abuse and Alcoholism (NIAA), investigators found that nearly 78% of over-65 adults who drink use medications that can interact dangerously with alcohol. The most common types of medicines used were blood pressure medications, sleeping pills, pain medications, muscle relaxers, diabetes and cholesterol medications, antidepressants, and antipsychotics. The bottom line, according to the NIAA: If you haven’t talked yet to your health care provider about any possible interactions, avoid alcohol altogether until know more. Adapted from NIH Research Matters.